Warranty expenses began a swift climb at the end of 2009. But so did product sales, as the Mac and iPod gave way to the iPhone and iPad. And so, the share of total revenue spent on warranty didn't soar. One of the most popular requests we get for warranty data is for charts on Apple Inc. The company, which keeps soaring in size as sales continue to climb, is now the fourth largest warranty provider in the U.S., surpassed only by GM, Ford, and HP. But what kind of company is Apple? Is it computer or consumer electronics? And why are its warranty expenses so large? Why did it rise from 25th to 4th place in only three years? 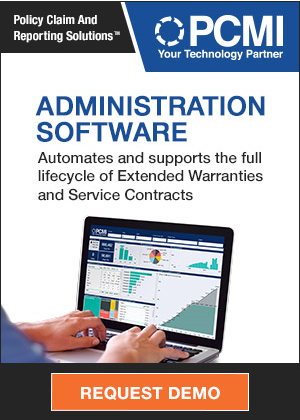 Since early 2003, Warranty Week has collected four metrics on a quarterly basis for every manufacturer that reports its warranty expenses in its financial statements. They are the amount of claims paid, the amount of accruals made, the warranty reserve fund balance, and the amount of revenue derived from sales of warranted products. With this data in hand, we make some calculations that estimate the percentage of revenue that's going to pay for warranty expenses. And it turns out it's not all that much, despite all the headlines about damage and defects. But first, let's go through the data. In Figure 1, we've charted the amounts reported by Apple for claims paid for the 38 quarters between January-March 2003 and April-June 2012. But since Apple ends its fiscal years at the end of September, this calendar format doesn't quite line up with Apple's own chronology. For instance, the two quarters of 2012 in the chart below are the second and third quarters of Apple's current fiscal year. The first calendar quarter of 2003 was the second fiscal quarter of Apple's year. And so on. A quick glance at the chart shows that the company's claims payments have apparently been soaring since the end of 2009. Later on, we will show how and why that really isn't much of a problem. Claims payments apparently peaked during the months of January to March 2012, at a level of $464 million. In the most recently completed quarter, claims fell back a bit to $436 million. For the sake of comparison, Apple paid out around $77 million per quarter in claims only five years ago. The track record for making accruals shows a similar pattern. In Figure 2, we've charted the amount Apple sets aside each quarter in warranty accruals as its products are sold, in anticipation of using those funds later on to pay claims. The rapid increase also begins at the end of calendar 2009, but the peak is much higher and somewhat sooner than it was for claims. During the months of October to December 2011, Apple set aside $837 million in warranty accruals. That amount actually exceeds the accruals made during the entire first six months of calendar 2012. Accruals dropped back to $466 million during the months of January-March 2012, and to $323 million during the months of April-June 2012. Back in early 2007, Apple was setting aside only $60 million or less per quarter to pay warranty expenses. However, back then the iPhone was just beginning its ascent, and there was no such thing as an iPad. Nowadays, those two product lines account for almost three-quarters of the company's total revenue. The third metric we collect is the warranty reserve fund balance. This is simply the amount of money left after accruals are added and claims are subtracted from the fund, with additional adjustments for currency fluctuations, acquisitions, and other factors. In Figure 3, we've charted the ending balance in Apple's warranty reserve fund for the past 38 quarters. It also begins to soar in late 2009, and also peaks in late 2011/early 2012. The balance in September 2009 was only $210 million. By the end of 2011, it was up to nearly $1.68 billion, having surpassed 21 major companies along the way including Boeing, Dell, GE, IBM, Microsoft, Motorola, Paccar and United Technologies. But as with claims and accruals, the balance actually fell back a bit this year, to a level of $1.565 billion by the end of June. These are the three major warranty metrics as reported by Apple. In addition to these, we also collect data for product revenue. Apple is better than most in that it segments its product line by product type, and provides both unit sales and dollar sales figures for each. We won't attempt to delve into the average price or warranty expense per unit of the Macintosh vs. the iPhone. But Apple does actually provide enough data to make it feasible. However, as you start multiplying and dividing one assumption by another, you quickly move away from the real and into the theoretical. So instead, what we want to show in Figure 4 is the transition Apple has undergone over the past decade from being a computer company to being a smartphone company. If nothing else, it illustrates how the product line was changing in late 2009 as warranty expenses began to soar. The scale on the left side is expressed as a percentage of 100%. In other words, it shows the transition of the product lines. Back in fiscal 2003, Apple had total revenue of $6.2 billion, of which 72% came from the Macintosh computer family. By fiscal 2011, Mac hardware was down to only 20% and total revenue was over $108 billion. The dominant product had become the iPhone, accounting for 43% of sales last year and 53% of sales in the first nine months of this fiscal year. Along the top, colored in gray, is everything else. Back in fiscal 2003 everything but the Mac and iPod product lines -- all the software, peripherals, service, and other products -- comprised about 22% of the company's total revenue. And those "other" categories continued to account for around 22% of total revenue right up until fiscal 2009. But in recent times everything but the Mac, iPhone, iPad and iPod have comprised only 10% of total revenue. Note that the 2012 data is for the nine months ended June 25, 2012. So the relative shares may change slightly by the end of this fiscal year. But the annual report for fiscal 2012 won't be available until late October or early November. The only products that have really grown their share of total revenue since warranty expenses began to soar in late 2009 are the iPhone and iPad. The iPod portable music players actually peaked in revenue in fiscal 2010, and in terms of revenue share in fiscal 2006 (when they were 40% of the total). So if anything is to "blame" for Apple's rising warranty expenses, it's not the iPod nor the Mac product line. It has to be the iPhone and/or the iPad. The truth is, though, that while sales of iPhones and iPads drove up warranty expense, they did so proportionally. Apple's claims rate remained mostly within a range between 1.0% and 1.5% of hardware sales, even as it shipped more and more hardware. In Figure 5, we've taken the total revenue from Figure 4 for the Macintosh, iPhone, iPad and iPod families (plus some peripherals), and divided it into the data in Figures 1 and 2. The result is a graph of the claims rate and accrual rate for Apple over the past nine-and-a-half years. When we said at the outset that there was nothing to worry about, this is what we meant. Apple's claims and accrual rates were actually much higher in the Macintosh-dominated years of 2004-2006 than they have been in the iPhone-dominated years of 2010-2012. Yes, the accrual rate touched two percent in early 2011, but it also nearly touched one percent in 2012. Yes, the most recent claims rate of 1.4% is the highest it's been since 2007, but we're talking about 1.4% of $32 billion now as opposed to 1.4% of $4.4 billion back then. In addition, while the trend is up for the claims rate, the accrual rate began to trend upwards sooner. And it rose higher, as evidenced by the gap between the red and green lines. That means Apple may have expected more claims than it got. The inescapable conclusion is that Apple has successfully kept a lid on its product warranty expenses as product sales have grown, and the product line has changed. Part of the reason is the parallel growth of AppleCare extended warranty contract sales, which take some of the pressure off the product warranty reserve to pay claims. But part of the reason has to also be related to product reliability, which apparently didn't drop as much as the headlines might lead one to believe. The result was an enduringly low cost of warranty, which one would otherwise have expected to soar as the phones and computers got both smarter and smaller. 2-10 Home Buyers Warranty picks Critigen for remote monitoring services. Warranty Hotel launches smartphone and tablet app for iOS devices. 4 Wheel Drive Hardware launches supplemental warranty plan for lift kits. Innotech Solar offers 12-year warranties on its modules, up from 10 years. Treadmill buyer finds out too late that the unit has only a 90-day warranty. Reader questions value of 12-year warranties on office furniture. SGS surveys 1,500 European dealers of 17 brands about OEM warranty satisfaction. Whirlpool reacts to column on its washer warranty. My Car Solutions never activated customer's extended warranty. Global Warranty Group to provide of service contracts to CEDIA members. Securranty to offer iPad and Macbook warranties for K-12 classrooms. Guyana's new Giftland Mall will require merchants to offer product warranties. Kenworth & Paccar Financial offer extended warranties to Canadian customers. ServicePower gets 2-year extension of its contract with E.ON UK. ServicePower Technologies posts net loss for the first half of 2012. Column says Whirlpool's washer warranty service is all wet. Samsung offers 10-year warranty on refrigerator compressors in UAE. WoodMaxx Power Equipment offers 3-year warranties on its power tools. AmTrust Group to insure the product warranty on PureForge brake rotors. Hino lengthens warranties for on- and off-road heavy trucks in South Africa. Casper, Wyoming officials OK agreement with sewer warranty company. McCusker launches extended warranty program for electric vehicle charging stations. Panasonic changes extended warranty deals on VX3 washing machines and Viera TVs. Kettler USA lengthens warranty period by 2 years on kids' bicycles and toys. Longevity Global Elite series of welding helmets gets a 3-year warranty. MarineLab Warranty Processing offers services to boat dealers who are MRAA members. 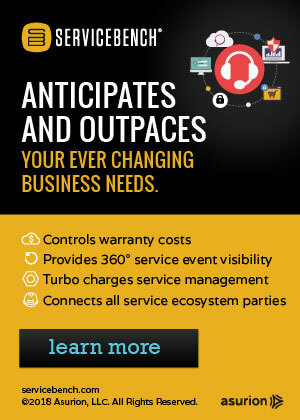 Global Warranty Group to exhibit at the 2012 Canadian Wireless Trade Show. Appliance warranty company American Fidelity Services shuts down abruptly. SquareTrade releases study of iPhone accident rates per state. Dell tech support caught using sweepstakes to hawk warranties. Seneca adds 5-year warranty for Nexlink branded desktops. Revamped Ford Certified Pre-Owned vehicle program yields 29% growth. PowerGuard Specialty Insurance Services signs ReneSola Ltd. for warranty insurance. Lenovo uses PolyVista Discovery Software to improve product reliability. eBay expands SquareTrade warranties to appliances. Fidelity Warranty Services rated A+ by the Better Business Bureau. Hearing Centers launches Hear Secure hearing aid extended warranty service. PTC to acquire Servigistics Inc. for approximately $220 million in cash. N.E.W. Customer Service Companies launches jobs program in military-based locations. College professor says to read the fine print of extended warranties. Cross Country Home Services provides primer on home warranty industry. Assurant Solutions launches Assurant Expert Services, with telephone, online, onsite and in-home support. Apple's warranty conditions under attack in Jinan, China. VPhase launches extended warranties for its voltage optimisation solution. CardHub.com finds credit cards with the best extended warranties. Energy Conversion Devices to liquidate, creates a warranty trust fund. Consumer warranties: Keeping pace with technology. New Zealand city councils push for mandatory building warranties. Chaparral offers Sydney Boat Show buyers an additional 3-year warranty. Apple's Warranties & Service Contracts: While AppleCare is still the biggest extended warranty program in the world, it hasn't grown much in years. And while Apple is spending more on product warranties than either GM or Ford, that's not growing either. No wonder investors are spooked by the company's future prospects. Apple's Extended Warranties: Every once in a while, someone sues Apple over its sales of extended warranties. But they never quantify the amount of money involved. Turns out, it's huge, based on some assumptions we made using figures from the company's own annual reports.